Hier soir au New Morning, il a mis une ambiance de folie la salle était pleine à craquer! j'ai découvert un trompettiste extra-ordinaire Ibrahim Maalouf. Last night at the New Morning, there was an atmosphere of madness in a theater that was full to bursting. 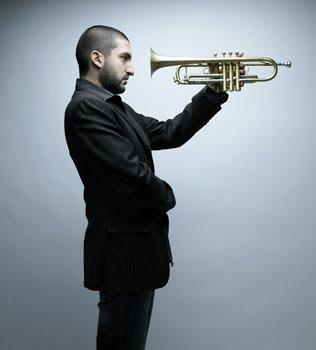 I discovered an extraordinay trumpet player Ibrahim Maalouf.